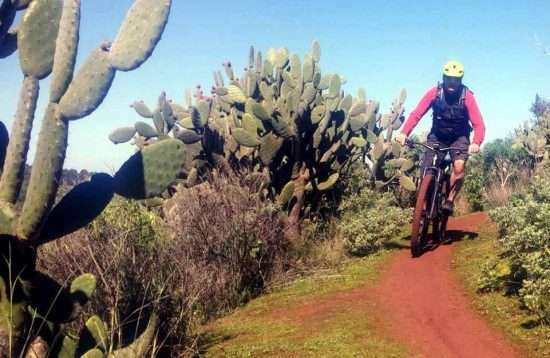 On Gran Canaria, you will find what your cyclist's heart desires: depending on your preference, you can go to a bike rental for example and explore Gran Canaria by mountain bike on your own. 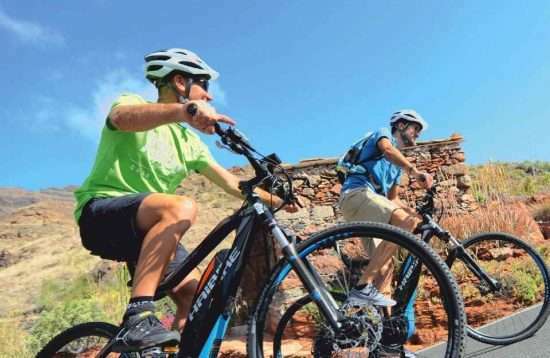 Or take part in one of the guided e-bike or mountain bike tours - Gran Canaria offers a varied selection of excursions. You can ride the mountain bike on both the road and on fantastic downhill single trails! 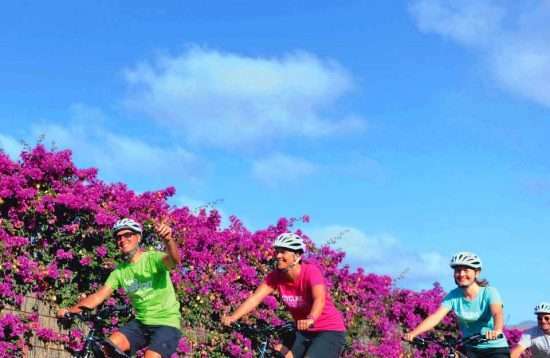 Enthusiastic cyclists already know it: nothing is better than exploring Gran Canaria while cycling. Whether on a mountain bike or e-bike, the fantastic weather conditions and the great surroundings are simply inspiring. The island is not only interesting for ambitious cyclists. Leisurely bike rides through picturesque surroundings and with many attractions are also ideal for a family outing, a tour among friends and alone. No matter if you choose Gran Canaria MTB or E Bike Tours. On the interestingly designed tours and well-chosen routes, you have the opportunity to really unwind, to devote yourself to the unique flora, fauna and culture and to really relax. 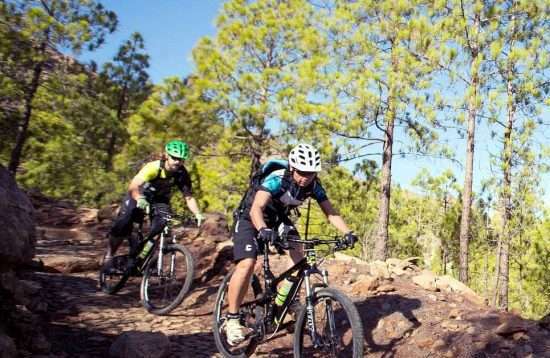 Riding Mountain Bike Tours on Gran Canaria is the ultimate experience for die-hard hobby bikers and professionals. Your condition is more pronounced than that of an average couch-potato and your technique has been refined on previous trips. Now you know there is only one thing left: Defeat the mountain! You feel your thighs begin to burn on the slope, which is adjacent to torture, while keeping a close eye on the summit. Once at the top! No time to catch your breath. The single trail in front of you carries your pulse to an even higher frequency. And now it goes down! You focus on what's coming in front of the full-suspension mountain bike's 29-inch front wheel. Your eyes won’t leave the track even when you shift your weight outwards to rush through a bend. And do not break! It is not about getting through the bend quickly, but getting out of it quickly. But this is no problem for you. You just switch into the right gear and get back to the next downhill. The frame and the full suspension of your mountain bike take care of the gravel, the rocks and roots sticking out on your Gran Canaria Single Trail. The unique nature of the island flies past you to your left and to you right - a truly perfect setting for your adventure. And again, the blood freezes in your veins, while the next 90-degree curve rushes towards you. At the end of this tour, you are exhausted, but you know that you have also defeated this mountain. 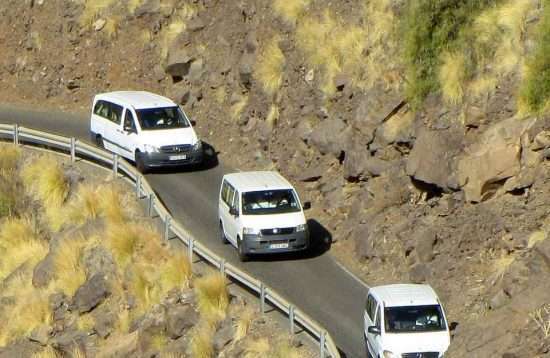 On the very well-developed asphalt roads in the interior of Gran Canaria, the traffic is restricted. And the few drivers you meet will take consideration of you. 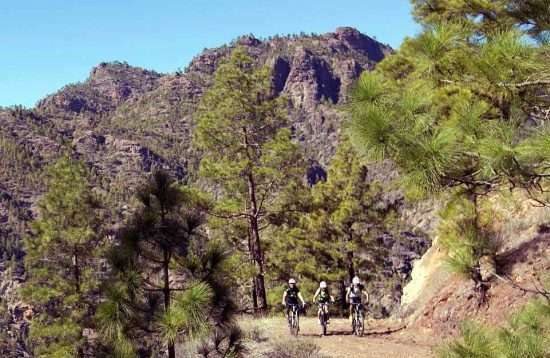 So you can fully enjoy cycling on your e-bike and focus on the surrounding landscapes of Gran Canaria. You will feel great. You will note a slight breeze; perceive the various scents of the roadside plants and realize how being active is good for you. 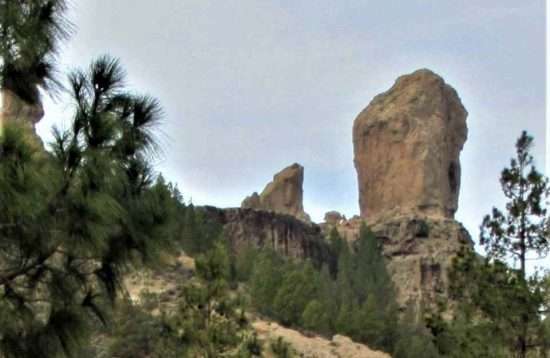 At the various viewpoints you will notice the monumental dimensions of the volcanic formations of Gran Canaria. The guide will also give you the associated information about the country and its people. Your E Bike supports you permanently, making it easier for you to cope with the few climbs that need to be mastered. As it goes ahead you will absorb the atmosphere. And in the end you will consider that this beautiful day went by way too fast. 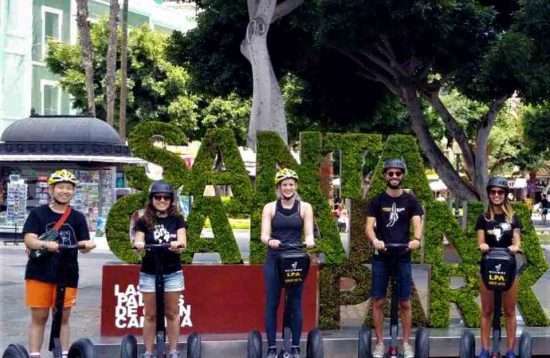 On the day of the excursion you will be picked up by the organizer on the road just in front of your hotel and taken to the bike rental center in Playa del Ingles. This service is included in the price for pickups in the area of Maspalomas to San Agustin including Plaza del Ingles. If you are staying between Argiuneguin and Mogan as for example Puerto Rico you can book the transfer service for € 15. If you prefer to travel to the bike rental center on your own we will be happy to give you the necessary indications. Once you have arrived, you will first pay the outstanding balance and then be distributed quickly to the premium bikes. 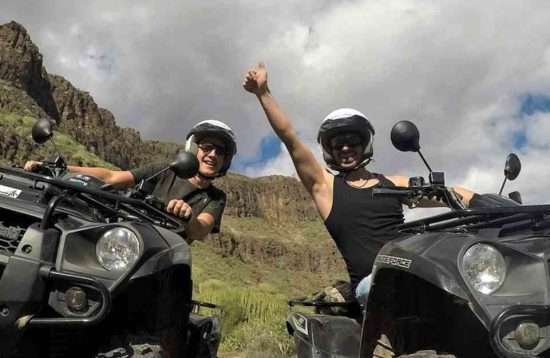 You will then get an introduction by the trained personnel in the handling of the very easy-to-drive bikes and some instructions of how to follow your guide and behave in the group in traffic - this is when the fun starts. Just follow your guide into your adventure! Take a drive into the absolutely impressive mountain world of Gran Canaria, through spectacular canyons, over serpentines through countless curves up to viewpoints whose breathtaking views you won’t forget. Get to know the volcanic landscapes of the interior, sleepy mountain villages and the unspoilt nature of this Canary Island. And during the bike stop you will lay back and enjoy the break. You have the opportunity to purchase bike accessory in the shop at the motion bike center. The participants from the area around Playa del Inglés, Maspalomas and San Agustin will be returned to your hotel if they wish. 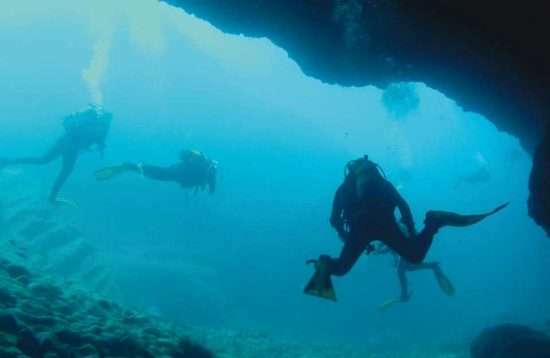 And the guests from Arguineguin, Puerto Rico, Amadores, Mogan and surroundings providing they have booked the transfer service.